Children use gestures before they use words. Early communication tends to be through children’s hands rather than through their mouths. For Amy Wetherby’s complete “16 Gestures by 16 Months handout”, click here. This article explains when children develop gestures and how to spot potential language or learning difficulties. Why do we care about gestures? 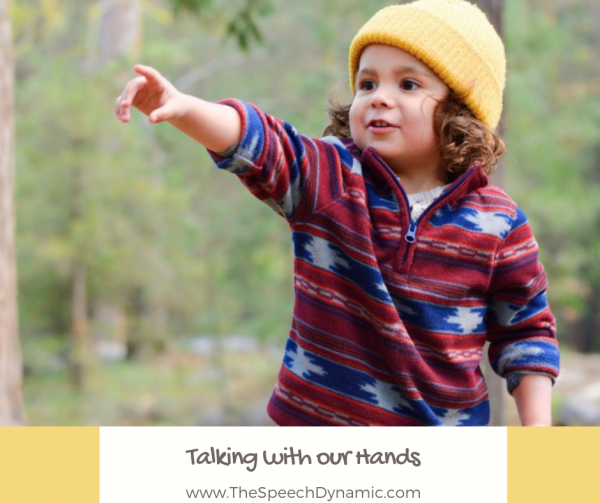 Gestures are a window into a child’s communication abilities. The age at which ideas are expressed through gestures predicts the age at which the same ideas are expressed in speech. (Goldin-Meadow, 2015). This means that gesture use can serve as a predictive factor for children who will have difficulty with spoken language. It can also serve a tool for intervention, that can be implemented even before the delay in spoken language is detected. (Goldin-Meadow, 2015). The more children use gestures early on, the more words they are likely to have in their spoken vocabularies later in development (Susan Goldin-Meadow, 2015). Researchers can actually predict which particular words will enter a child’s spoken vocabulary by looking at the objects a child uses gestures to communicate about. (Iverson & Goldin-Meadow, 2005). For example, a child who does not know the word “dog,” but points to a dog to communicate something about it is likely to learn the word “dog” within three months (Iverson & Goldin-Meadow, 2005). Changes in gesture use also predict use in language and the onset of sentences. Researchers found that the age in which children combine words with gestures to create new meanings (supplementary gestures), reliably predicts the age at which they produce two-word utterances (Goldin, Meadow, and Butcher, 2015). Gesture use has also been found to predict changes in narrative structure (Demir, Levine, & Goldin-Meadow, 2014). In a study looking at how children retold a story, the children were able express the character’s perspective through gesture even when they could not yet do so in speech (ex: acting out the actions of the character). Why? Early gesture use may be an indicator of overall communication skills and language abilities (Goldin-Meadow, 2015). What can you do to encourage gesture use? In a study by LeBarton et al (2013), the researchers found that the more children gestured during a training period, the bigger their vocabularies were two weeks later. Encouraging children to use gestures from an early age has the potential to increase the size of their vocabularies, and perhaps facilitate the onset of a variety of language constructs. Using gestures with your child draws their attention to an object and therefore the language associated with it. 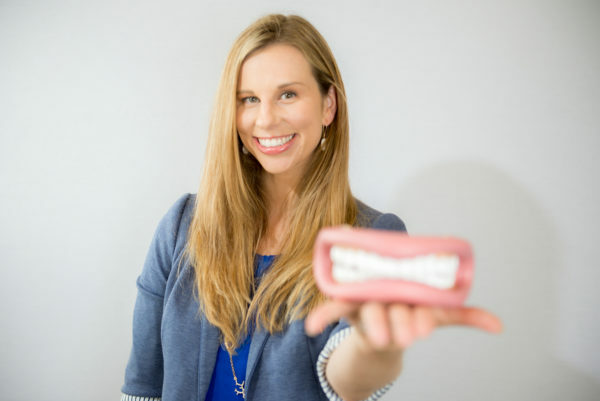 Not only does this facilitate word learning, but it also shows your child how to use gestures, which may in turn facilitate their own word learning. Model pointing while you say a word. Do this for objects that are near (such as a page in a book) and objects that are far (such as a plane in the sky). When you are talking about something your child is interested in, add gestures (For example, put your hands beneath your head when talking about a “nap”). Try incorporating Baby Signs. There are many resources available to help you learn signs. I love this “My First Baby Signs” pop-up book. Goldin-Meadow, S. Gesture as a Window into Communicative Abilities: Implications for diagnosis and intervention. Perspectives in Language, Learning and Education (2015).